Update: If you couldn't make it to this event you can watch it here. WNYC and the Apollo Theater present the 11th Annual Dr. Martin Luther King, Jr. Day Celebration, Where Do We Go From Here? 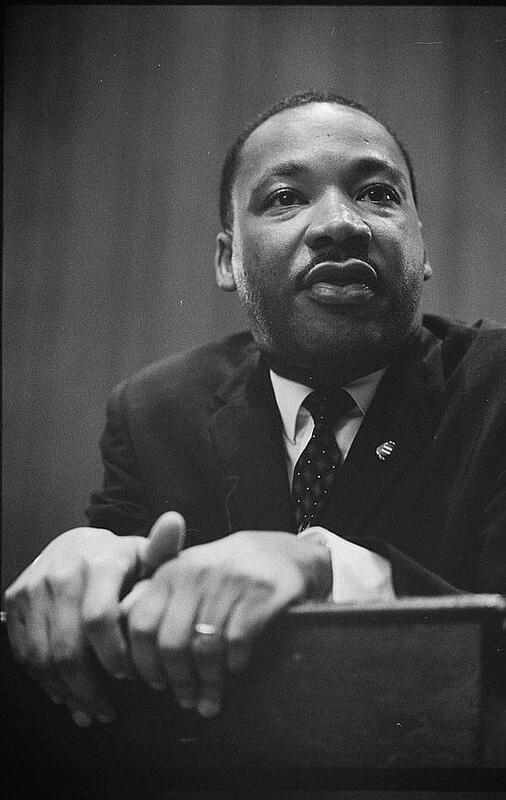 MLK and the Future of Inclusion, in partnership with the March on Washington Film Festival. In 1967, Martin Luther King, Jr. published his seminal book, Where Do We Go From Here: Chaos or Community? 50 years later, that very question feels especially relevant. Following one of the most divisive general elections in recent history, WNYC's Peabody Award-winning host Brian Lehrer of The Brian Lehrer Show and Jami Floyd, local host of WNYC's All Things Considered, will moderate an open and honest conversation forecasting the post-Obama era, exploring the challenges for the next American president, and discussing the future of social justice movements. WQXR's Terrance McKnight will serve as emcee. Rabbi Ben Kamin who created an interfaith outreach institute called Reconciliation: The Synagogue Without Walls, which is a forum for multiculturalism and inclusiveness in the spirit of MLK. Elie Mystal, an editor for Above the Law, Editor-at-Large for Breaking Media, and the Legal Editor for More Perfect. Joshua Lawrence Lazard, a writer, minister and public intellectual, who offers engaging social and theological commentary that provides a provocative cultural critical awareness. Opal Tometi, a New York-based Nigerian–American writer, strategist and community organizer. Tometi is a Co-Founder of the Black Lives Matter movement. She is the Executive Director at Black Alliance for Just Immigration (BAJI). The Rev. Dr. James Alexander Forbes, Jr., highly acclaimed author, scholar and nationally sought-after speaker, affectionately referred to as “The preacher’s preacher” because of his extensive preaching career and his charismatic style. L. Joy Williams, a national political strategist, media thought-leader, social justice advocate and President of the Brooklyn Chapter of the NAACP. Shaun King , an increasingly prominent voice using social media to highlight, amplify, and discuss news of police brutality, racial discrimination, and other civil rights issues. Natalia Aristizabal Betancur, Lead Organizer at Make the Road New York and advocate for immigration reform, LGBTQ rights, and the rights of people of color and undocumented communities. Staceyann Chin, a spoken-word poet, performing artist and LGBT rights political activist. Her work has been published in The New York Times, The Washington Post, and the Pittsburgh Daily, and has been featured on 60 Minutes. Talib Kweli , a Brooklyn-based MC who earned his stripes as one of the most lyrically-gifted and socially aware rappers to emerge in the last 20 years. Marcelle Davies-Lashley, a soul singer, fusing gospel, jazz and 1970s soul through a journey that is at once timeless and timely. In keeping with tradition, the event discussions will be complimented by multiple media presentations and musical performances. This event is free to the public and will take place at the Apollo Theater, 253 W. 125th Street, at 3PM on Sunday, January 15, 2017.